Curated by Paul Goodwin and Alexa Kusber. Artists: Eve Bailey (FR/USA), Bureau A (CH), Andrea Hasler (BR/CH), Tarik Hayward (CH). 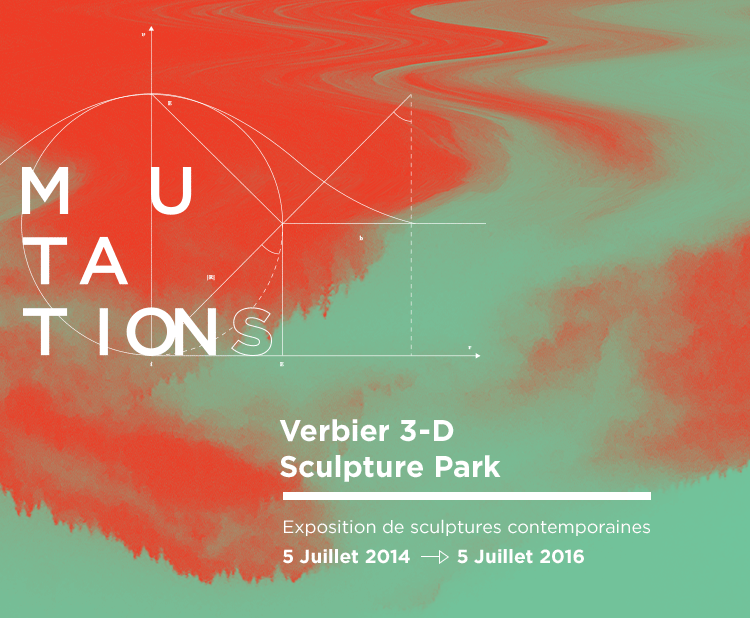 Opening July 5th, 2014, 11:30 am tour of the sculpture park between Les Ruinettes et La Chaux, 6-9 pm cocktail at Le Bec on Place Blanche, 8 pm live performance by artist Eve Bailey with students dancers from the Conservatoire de Sion. Eve Bailey (FR/USA) has formed a practice based on the concepts of balance and coordination. Rooted in the tradition of the artist-engineer, she creates ergonomic and genetic sculptures sympathetic to human embrace as well as complex line drawings that embody her love for architecture and dance. Bailey constructed Our Impermanent Walk as an interactive kinetic sculpture inspired by the wings of the first flying machines. The sculpture-device serves to experiment with the sense of proprioception and express finite moments of equilibrium. The concept is literally and metaphorically about groundlessness, impermanence, trust and collaboration. As two people climb upon the structure, they loose their traditional relationship to gravity and cannot hold on to anything but each other’s counter weight. They are bound to collaborate to find their balance.